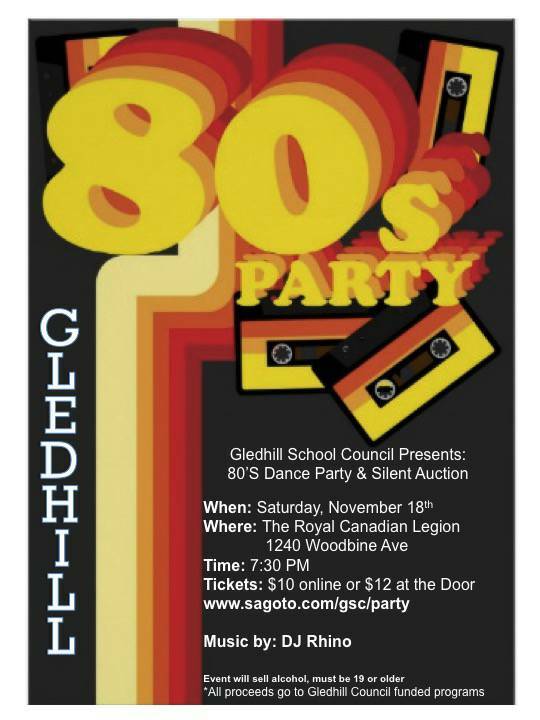 Only 3 weeks away – Gledhill’s 80’s Dance Party! Posted on October 28, 2017 | Comments Off on Only 3 weeks away – Gledhill’s 80’s Dance Party! Book your Sitters! Gledhill School Council is hosting an 80’s Dance Party! Meet other Gledhill parents, have some fun and raise funds for the school through the silent auction. Please come out and bring your friends! It will be a great night! Proceeds go to Gledhill School Council initiatives. Tickets are $10 online or $12 at the door.